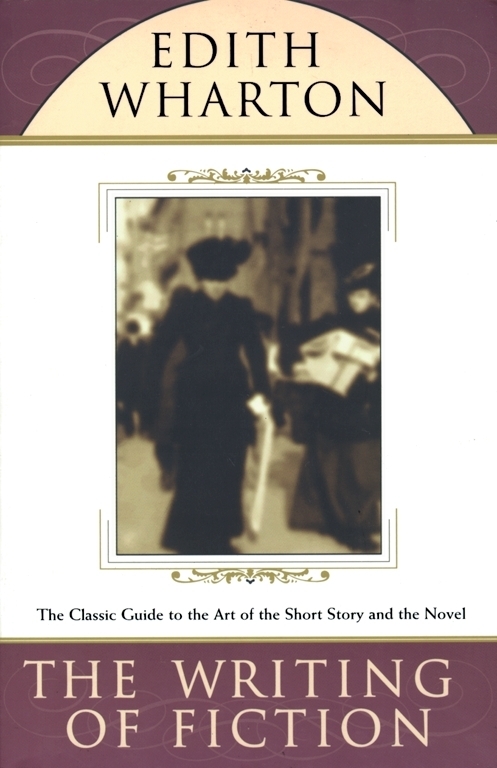 A rare work of nonfiction from Edith Wharton, The Writing of Fiction contains brilliant advice on writing from the first woman ever to win a Pulitzer Prize -- for her first novel The Age of Innocence. In The Writing of Fiction, Wharton provides general comments on the roots of modern fiction, the various approaches to writing a piece of fiction, and the development of form and style. She also devotes entire chapters to the telling of a short story, the construction of a novel, and the importance of character and situation in the novel. Not only a valuable treatise on the art of writing, The Writing of Fiction also allows readers to experience the inimitable but seldom heard voice of one of America's most important and beloved writers, and includes a final chapter on the pros and cons of Marcel Proust. To treat of the practice of fiction is to deal with the newest, most fluid and least formulated of the arts. The exploration of origins is always fascinating; but the attempt to relate the modern novel to the tale of Joseph and his Brethren is of purely historic interest. Modern fiction really began when the "action" of the novel was transferred from the street to the soul; and this step was probably first taken when Madame de La Fayette, in the seventeenth century, wrote a little story called "La Princesse de Clèves," a story of hopeless love and mute renunciation in which the stately tenor of the lives depicted is hardly ruffled by the exultations and agonies succeeding each other below the surface. The next advance was made when the protagonists of this new inner drama were transformed from conventionalized puppets -- the hero, the heroine, the villain, the heavy father and so on -- into breathing and recognizable human beings. Here again a French novelist -- the Abbé Prévost -- led the way with "Manon Lescaut"; but his drawing of character seems summary and schematic when his people are compared with the first great figure in modern fiction -- the appalling "Neveu de Rameau." It was not till long after Diderot's death that the author of so many brilliant tales peopled with eighteenth century puppets was found, in the creation of that one sordid, cynical and desolately human figure, to have anticipated not only Balzac but Dostoievsky. But even from "Manon Lescaut" and the "Neveu de Rameau," even from Lesage, Defoe, Fielding, Smollett, Richardson, and Scott, modern fiction is differentiated by the great dividing geniuses of Balzac and Stendhal. Save for that one amazing accident of Diderot's, Balzac was the first not only to see his people, physically and morally, in their habit as they lived, with all their personal hobbies and infirmities, and make the reader see them, but to draw his dramatic action as much from the relation of his characters to their houses, streets, towns, professions, inherited habits and opinions, as from their fortuitous contacts with each other. Balzac himself ascribed the priority in this kind of realism to Scott, from whom the younger novelist avowedly derived his chief inspiration. But, as Balzac observed, Scott, so keen and direct in surveying the rest of his field of vision, became conventional and hypocritical when he touched on love and women. In deference to the wave of prudery which overswept England after the vulgar excesses of the Hanoverian court he substituted sentimentality for passion, and reduced his heroines to "Keepsake" insipidities; whereas in the firm surface of Balzac's realism there is hardly a flaw, and his women, the young as well as the old, are living people, as much compact of human contradictions and torn with human passions as his misers, his financiers, his priests or his doctors. Stendhal, though as indifferent as any eighteenth century writer to atmosphere and "local colour," is intensely modern and realistic in the individualizing of his characters, who were never types (to the extent even of some of Balzac's) but always sharply differentiated and particular human beings. More distinctively still does he represent the new fiction by his insight into the springs of social action. No modern novelist has ever gone nearer than Racine did in his tragedies to the sources of personal, of individual feeling; and some of the French novelists of the eighteenth century are still unsurpassed (save by Racine) in the last refinements of individual soul-analysis. What was new in both Balzac and Stendhal was the fact of their viewing each character first of all as a product of particular material and social conditions, as being thus or thus because of the calling he pursued or the house he lived in (Balzac), or the society he wanted to get into (Stendhal), or the acre of ground he coveted, or the powerful or fashionable personage he aped or envied (both Balzac and Stendhal). These novelists (with the solitary exception of Defoe, when he wrote "Moll Flanders") are the first to seem continuously aware that the bounds of a personality are not reproducible by a sharp black line, but that each of us flows imperceptibly into adjacent people and things. The characterization of all the novelists who preceded these two masters seems, in comparison, incomplete or immature. Even Richardson's seems so, in the most penetrating pages of "Clarissa Harlowe," even Goethe's in that uncannily modern novel, the "Elective Affinities" -- because, in the case of these writers, the people so elaborately dissected are hung in the void, unvisualized and unconditioned (or almost) by the special outward circumstances of their lives. They are subtly analyzed abstractions of humanity, to whom only such things happen as might happen to almost any one in any walk of life -- the inevitable eternal human happenings. Since Balzac and Stendhal, fiction has reached out in many new directions, and made all sorts of experiments; but it has never ceased to cultivate the ground they cleared for it, or gone back to the realm of abstractions. It is still, however, an art in the making, fluent and dirigible, and combining a past full enough for the deduction of certain general principles with a future rich in untried possibilities.